SIMPLIPHI POWER provides reliable, clean and uninterrupted off-grid mobile energy storage and management for Airbnb and kitHAUS. 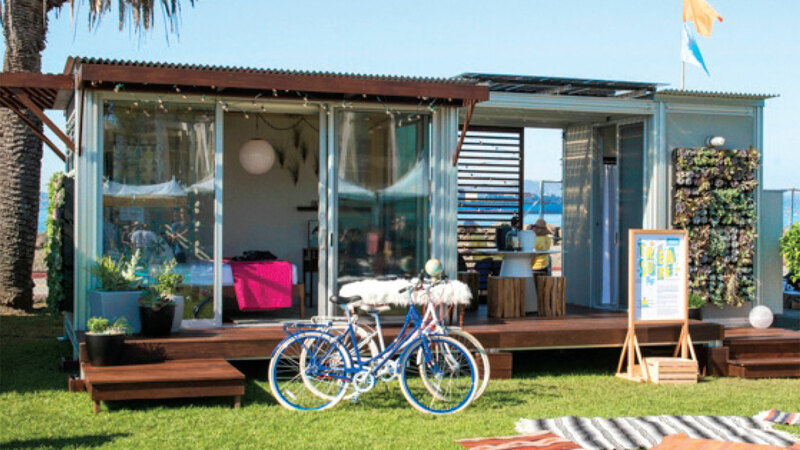 State-of-the-art, eco- friendly pre-fab “pop-up” living quarters are energy independent and secure with the wall mounted power kit. Anytime. Anywhere. During a celebrity-themed promotion in Los Angeles, California, design-savvy stars, including Moby, James Franco, Anjelica Houston and Molly Sims, were recruited to curate a series of Airbnb pop-up listings. The SimpliPhi PowerKit stores more than 5.2 kilowatts of renewable energy to provide backup and power security for all electrical equipment in the mobile kitHAUS living quarters. Without energy storage, renewable sources of power are intermittent and unpredictable, as is the grid in black-out and emergency scenarios in which the centralized delivery of power breaks down.